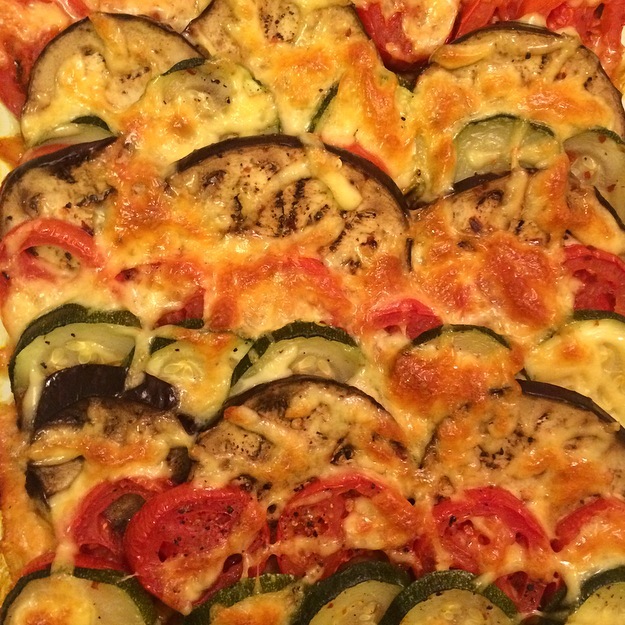 When I look at the seasonal veggies in my fridge this week, eggplant and zuchinni included, I knew there was only one savory gluten free dish that I wanted to make: Ratatouille. This Gluten Free Fall Ratatouille recipe goes great with chicken, rice, couscous, pasta or even steak! Cut onion (and optional green pepper) into slivers. Sautee in oil with ½ of your garlic for a few minutes and add pepper flakes, salt and pepper. Once onions are translucent, add your tomato sauce to the pan and lower heat. 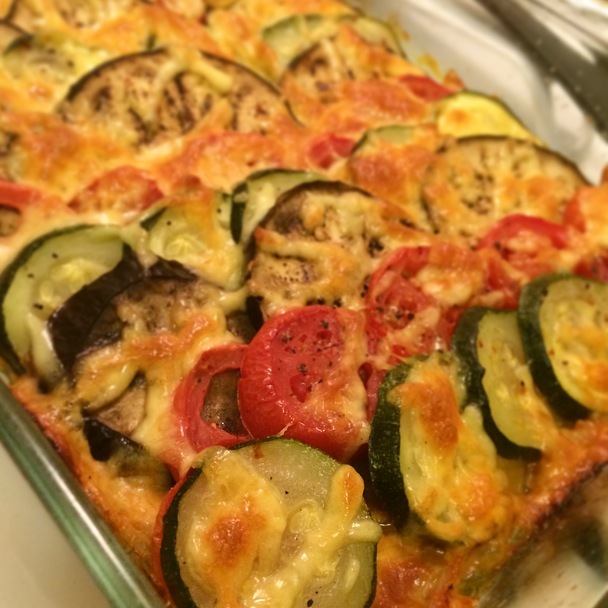 To prepare the eggplant, zucchini and tomatoes, cut off stems and slide each vegetable about ¼ inch thick. Once your vegetables are prepped, transfer the onions and sauce into the bottom of a glass pan. Arrange your sliced vegetables in rows on top of the sauce. Drizzling with olive oil and seasoning with salt and pepper as you go. Sprinkle the remaining garlic on top of the rows of vegetables and cover the dish with aluminum foil. Cook 40 min to 1 hour. Remove the disk when vegetables are tender and sprinkle cheese on top. Return to the oven uncovered for an additional 15 minutes. Like what you see? Follow my blog with Bloglovin!